He got a lot of action yesterday, and I liked the fight he has and the way he plays the ball, was never really out of position. Bestbuck36, brodybuck21, buckeyboy and 2 others like this. Some weird number flipping that I'm seeing 15 as 12 ? Nope, at 3:08 it's definitely a 12. Is it really Sevyn ? Did numbers get changed around and I missed it ? Isaiah Pryor was wearing #12 on saturday. brodybuck21 and kujirakira like this. Saw him in street clothes celebrating with Sheffield after his INT. Jaxbuck, Bestbuck36, bukIpower and 3 others like this. Bump for scoring a special teams TD in The Game!! SEREbuckeye, 1926Buckeyes, Jaxbuck and 12 others like this. SEREbuckeye, FCollinsBuckeye, mendensa and 5 others like this. After the punt block and score....... that was the loudest I have ever heard the shoe on tv. Place looked like it was rockin'. Anyone who was there, can you confirm or deny? It was nuts the whole game but yes, it was an extra level of loud when that happened. mendensa, brodybuck21 and OHSportsFan like this. Sevyn Banks came to Ohio State from Jones High School in Orlando, Florida. He was the No. 23 cornerback in the 2018 recruiting class and the No. 223 player overall. Banks signed with Ohio State over offers from Alabama, Bethune-Cookman, Florida, Auburn, Florida State, LSU, Kennesaw State, and many others. The Buckeyes offered shortly after his junior season, which he missed due to an ACL tear. If a true freshman was looking for playing time last season, being a cornerback was a sure way not to get it. The Buckeyes returned five of their top six corners from the season before, which meant it was going to be difficult for Sevyn Banks to see time on defense. For much of the season, it looked like Banks was going to redshirt. He didn’t play in any of the Buckeyes’ first eight games. It wasn’t until game nine against Nebraska that Banks saw his first action, with the vast majority of his playing time coming on special teams. Banks’ tallied his only tackle of the season on the road at Maryland. He topped that career first the following week when he caught a blocked punt against Michigan and returned it 33 yards for a back-breaking touchdown. Had the Michigan game been the final game he played in last season, he would have maintained his redshirt. Instead, the decision was made to continue playing him on special teams in the two postseason games as well. 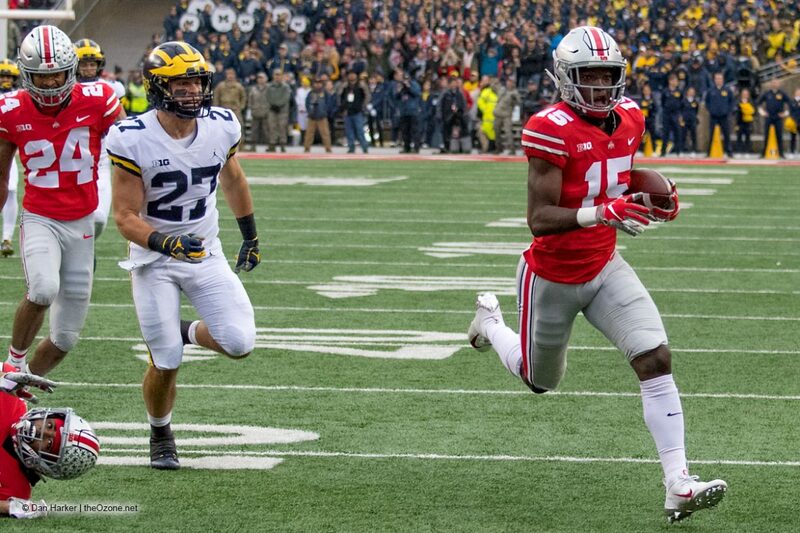 The Buckeyes lost a starting cornerback when Kendall Sheffield declared early for the NFL Draft, but they will still return two of their starting three corners in Jeff Okudah and Damon Arnette. Banks will likely be one of four cornerbacks competing to break into the top three. Redshirt sophomore Shaun Wade may have the best opportunity, provided he doesn’t stay at safety. Redshirt sophomore Marcus Williamson has battled injuries, but fits in well in nickel situations. You also have Banks’ fellow classmates Tyreke Johnson and Cameron Brown. Johnson redshirted, but Brown played in the first five games on special teams. All told, Banks saw more time on the field than any of his classmates, but he saw about the same amount of action at cornerback as they did, which is to say almost none.